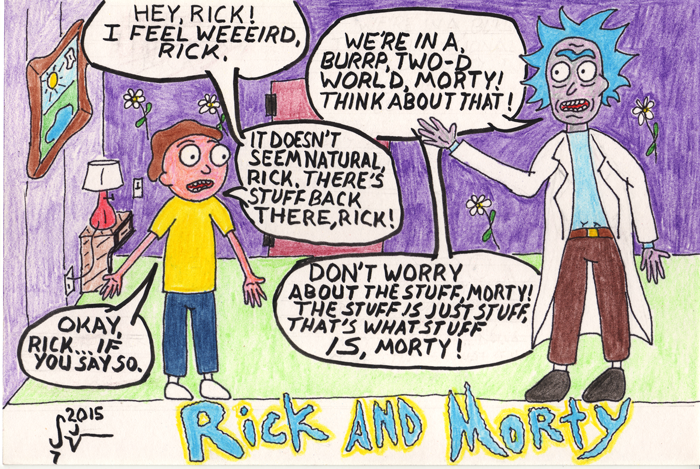 So… Rick and Morty is a thing… a cartoon on Cartoon Network’s Adult Swim lineup. I almost missed it, as it was often on in odd time slots last year… but it is one of the most awesomely weird cartoons you’ll ever want to watch, and the second season is only a few days away now! 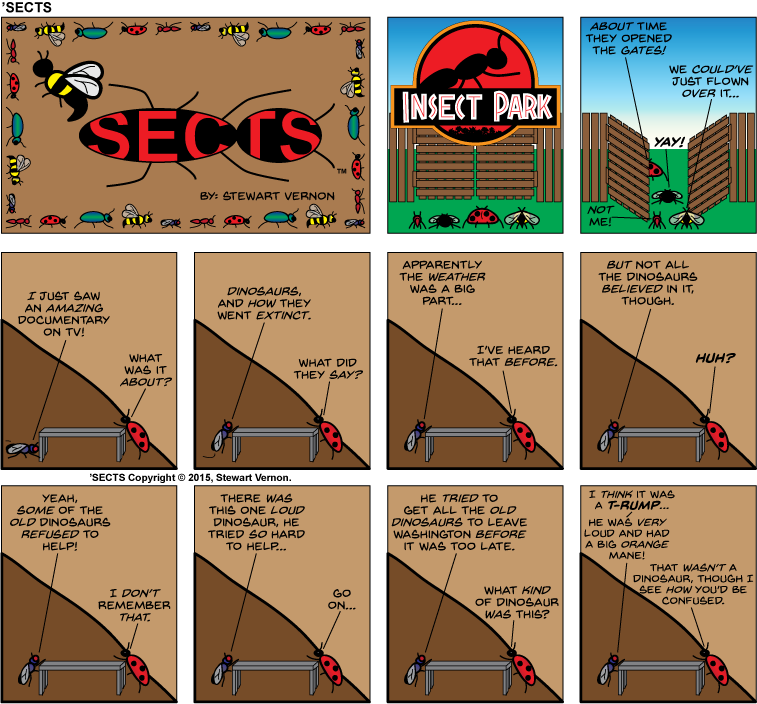 I actually drew this the weekend before last… and posted it on Facebook then too. 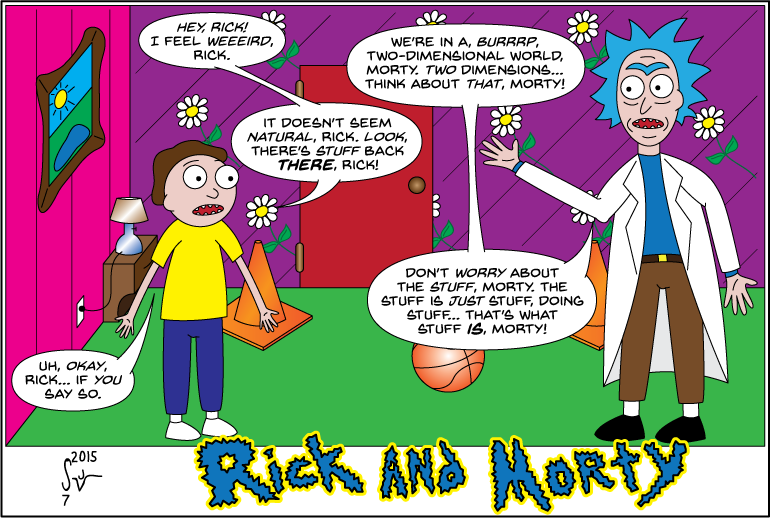 I even posted it on the Rick and Morty page, and they liked it… so if Rick and Morty likes Rick and Morty, then who are you not to like Rick and Morty? Go ahead… try not to like it… I dare you! Rick and Morty forever and ever, for a hundred years. So… I actually created two final versions of this image, and here’s the secret behind-the-scenes scoop why… I didn’t like my original final piece. I’m not quite as skilled at hand-inking and hand-lettering as I’d like to be… some of that is the tools I have at my disposal, and the rest is lack of practice from years of finishing stuff on the computer where I have quite a bit more control and ease of correcting mistakes. So, returning to the original sketch, I used this as a baseline to draw the eventual final version (the topmost one in this blog post) completely digitally. If you compare my two color versions above, you can clearly see where I was able to do a better job in the ultimate final version of capturing my original concept. 1. Pencil sketch and layouts on paper. 2. Scan and keep the original sketch somewhere safe for future reference or potential sale. 3. Use the pencil scan as baseline to create final digital render, coloring as desired. This gives me a best-of-both-worlds situation where I have an original pencil sketch if anyone is interested down the road, and a final digital piece that completes the vision as I saw it in my head. 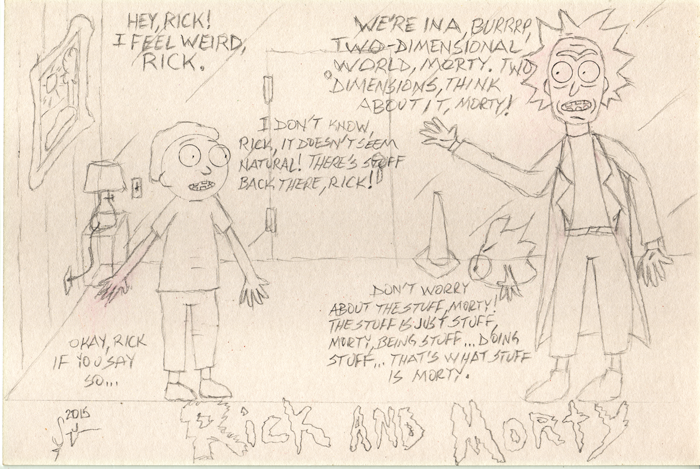 I hope you like this as much as I liked drawing it… and make sure you watch Rick and Morty on TV too!